This recipe caught my eye because it contains no egg or wheat–two things we had yet to introduce to Kate at the time. These “cookies” were a favorite of hers from the start and they’re my go-to recipe when I have overly ripe bananas on the counter about to go bad. They’re easy to toss into my bag for an on-the-go snack, make healthy (and cheap!) treats for daycare or playgroups, and they’re freezer-friendly! Mix dry ingredients. Mix wet ingredients. Add wet to dry. Drop by spoonful onto parchment paper or greased cookie sheet. Bake at 350 degrees for 12-15 minutes. The original recipe calls for 3 T. oil (and no applesauce), but I thought the cookies were a little too oily. I cut the oil to 1 T. and added 2 T. applesauce for a slightly different (and healthier) variation. Feel free to play with the amount of oil and applesauce you prefer. Hope these cookies are a hit at your house! Thanks for posting this recipe, I have all of those ingredients handy so I will have to try them tonight. I always love reading your toddler friendly recipes so keep them coming! I’m always looking for new foods to try with Ethan. Thanks for sharing this. It has been pinned! I”m going to have to try this – the Apple Plum Bars you posted a few weeks ago are a hit with my 10 month old! Thanks ladies! Please check back and let me know what your little ones think! This seems like a simple recipe, which I love! 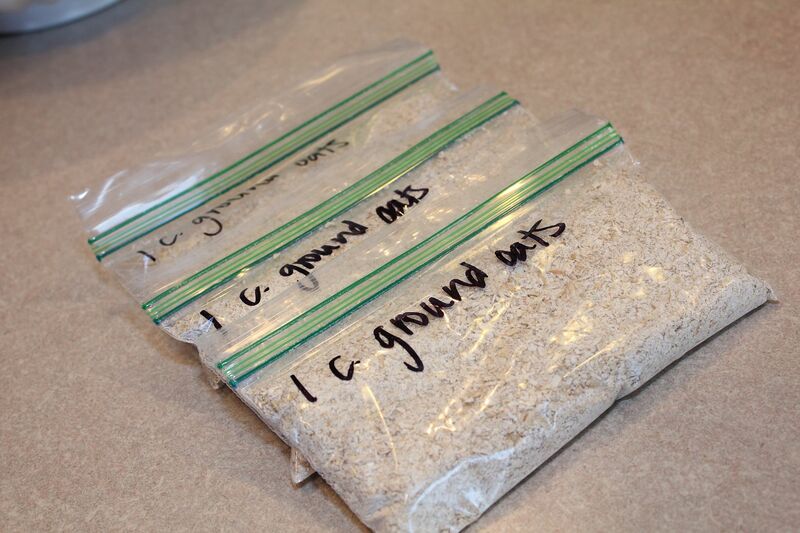 Can quick oats be subbed with rolled oats? Hi Jessy–A quick Google search tells me substituting quick oats shouldn’t be a problem. Your cookies might turn out a slightly different texture, but they should still be great. Enjoy! My daughter loves these “cookies!” I love that I don’t have to feel bad about giving then to her. I use virgin coconut oil for the oil, so there is not one unhealthy thing in this recipe! Do you just need one cup of quick oats or two? Seeing as how it says one of ground (made from quick) so I’m a bit confused. @Kayla: It’s 1 cup of grounded-up oats, and 1 cup of whole oats (for a grand total of 2 cups of oats). Hope that clears it up for you! @Julie: Oh YES, these are very freezer friendly I make multiple batches at a time and freeze them up! I don’t owe a food processor. What do you recommend for me to do or substitute the ground oats with? Hmmm, that’s a good questions Elvia. My best guess would be using whole wheat flour or a gluten-free flour alternative. Let me know how they turn out if you do! I modified the recipe with 3 bananas, added 1/2 cup buckwheat flour and 1/2 cup whole wheat flour, increased oil to 1/4 cup (had no applesauce), and added one egg. I used regular instead of quick oats for the oat flour as well. 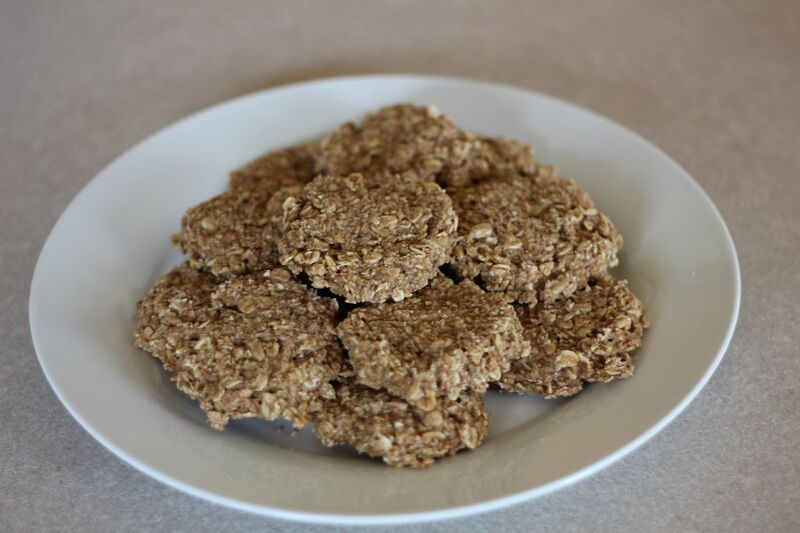 They turned out yummy and I like that there are no refined or processed sugars but they are plenty sweet. Great trail/running snack or even desert!